Randolf: I scream, you scream, we all scream for ice cream. 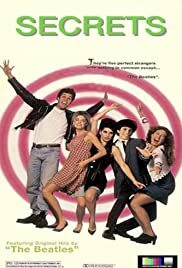 A definite, almost embarrisingly obvious, rip-off of Breakfast Club, all the way down to the misunderstood rebel and the innocent beauty (who, of course, fall in love). It has some nice twists, however, and is a decent period piece backed up by plenty of the Beatles. The movie is a.k.a. One Crazy Night (1993).